The Braamfontein-based outfit has suffered back-to-back defeats this season – failing to defend their MTN 8 title after being knocked out by Cape Town City on at Cape Town Stadium. Students’ failures could be put down to back-to-back injuries this season, with Elias Pelembe suffering a knock to his arm yesterday against Mamelodi Sundowns. 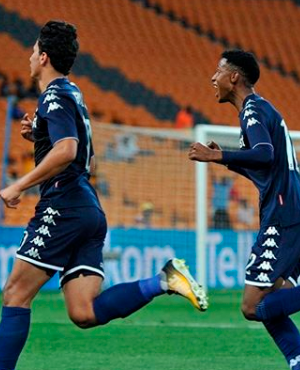 However, the Clever Boys have advanced to the Telkom Knockout finals against Bloemfontein Celtics on Saturday 2 December at Princess Magogo Stadium, Durban. It’s a must win for Wits to save their season. But the Students aren’t thinking about challenging for the league title, their main priority is getting out of the relegation zone. Losing Phakamani Mahlambi didn’t help the side. The 20-year-old is regarded as one of the best Wits has ever produced. He opted to sign with Egyptian side Al Ahly ahead of African champions Sundowns last season. Mshini netted six goals and provided a number of assists to help the Clever Boys win both the Absa Premiership and MTN 8. Having suffered six defeats, securing two draws and two wins in 10 games, it doesn’t look good for coach Gavin Hunt with 20 games to play.